At Baselworld 2014 Girard-Perregaux launched a number of new models to add to their successful Cat’s Eye women’s collection. One of these was an Anniversary model, marking a decade since its launch, and previously written about on Horologium here. You can also read its specs in this earlier post. With thanks to Avstev, I had the opportunity to see this watch ‘in the metal’ recently in Sydney. So – how does the reality compare to the press photos? For those who are not familiar with the Cat’s Eye case, it measures 35.44mm x 30.44mm, and has a nice sense of ‘largeness’ and wrist presence bigger than the dimensions might indicate. 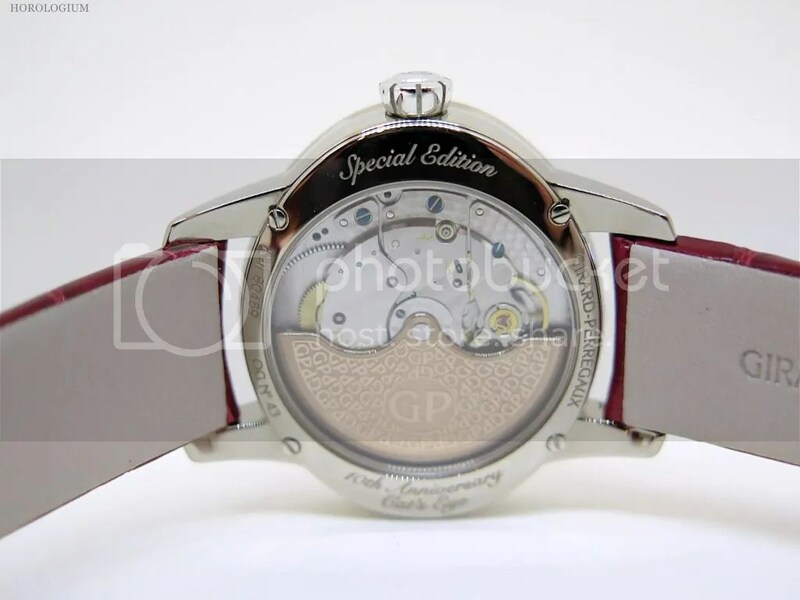 The model here is one of the two dial versions, both with the same dial design with teadrop gemstone rays. 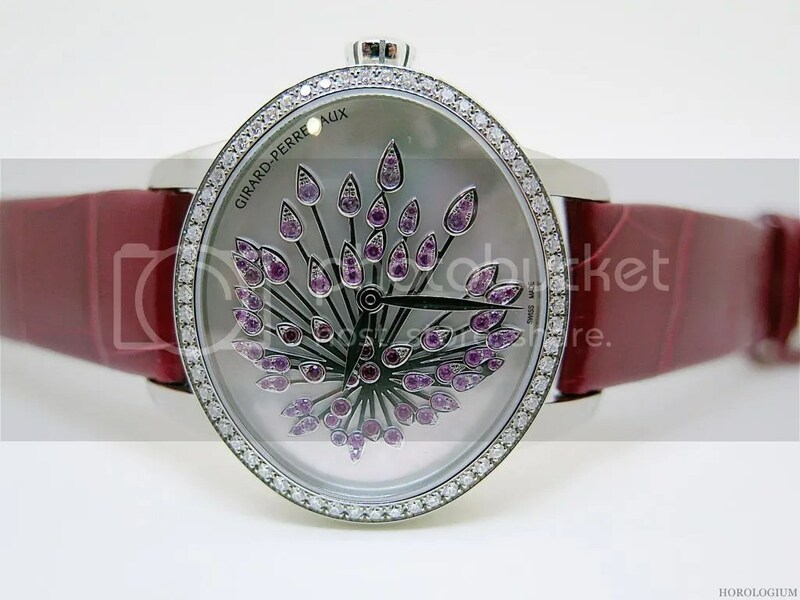 This is the opaline version, the bejewelled rays of seventy-three pink/ red sapphires on a hand-polished white mother of pearl dial. 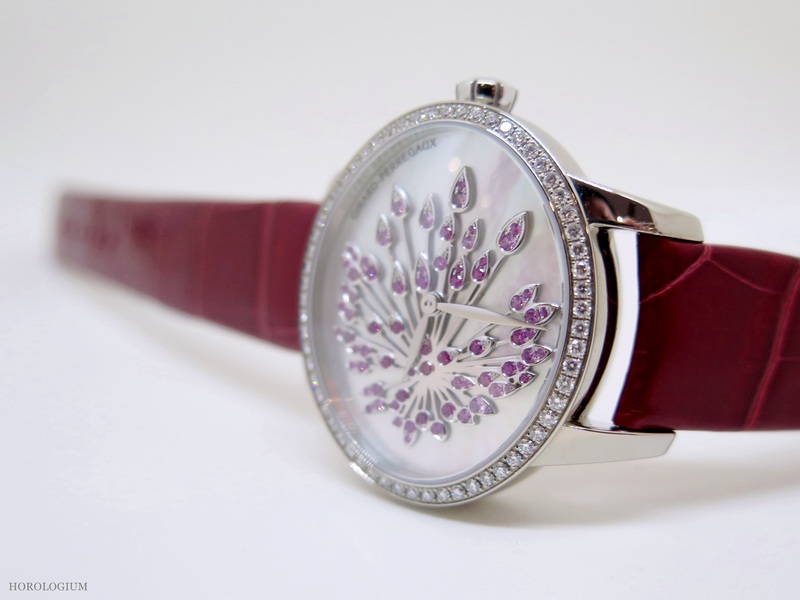 This white gold cased piece is very elegant and the dial is unexpectedly ‘soft’ in tone. 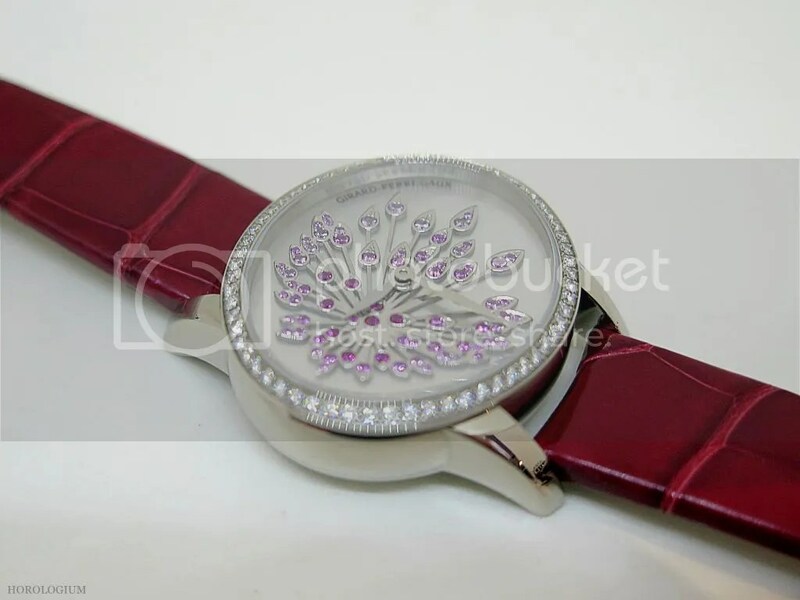 I say ‘unexpectedly’ because I did not expect the presence of so many glittering stones to be as such – the ‘ray’ design gives the dial delicacy as well as beauty. The watch sits lightly on the wrist and with the gorgeously rich matching red strap, it is a beautiful looking piece that does actually reflect what it looks like in the press material. It is dressy but not overly so, and with the right outfits (and a degree of confidence), is sufficiently versatile to be worn from day through to night.